Brexit presents many concerns for the future of the third sector in Wales. In this blog, Wales Civil Society Forum on Brexit Coordinator Charles Whitmore outlines the implications of the UK and Welsh Government’s announcements, and addresses the key challenges facing a post-Brexit civil society in Wales. Charities perform an essential role helping to make a reality of rights for people’s everyday lives. They fight for and give effect to human, equality or environmental rights. These organisations cannot operate effectively without adequate funding. From 2014 to 2020 Wales received over £1.2 billion from European Structural and Investment Fund (ESIF). That is 458% of the UK average per capita. Despite this European funding in Wales, WCVA’s data hub shows that the income of Wales-based charities per head of population is nearly half that of the UK as a whole. Will the UK government’s replacement sustain the level of funding for Wales currently provided by ESIF? Will the sector in Wales have any autonomy within the successor scheme? If not, Brexit will deepen the comparative disadvantage of the charitable sector in Wales. The ESIF successor funding scheme, the ‘UK Shared Prosperity Fund’ (UKSPF), has been subject to much debate in Wales since the referendum. As early as 2017 the Welsh Government, EAAL and Finance Committeesof the National Assembly, all consulted on the UKSPF. Civil Society organisations have contributed to the debate through submissions to these consultations, and independent research, such as that of the Equality and Diversity Forum, the Historic Environment Group, and the Wales Public Service 2025 project. In contrast, very little information has emerged from the UK Government. In August 2018 the Wales Audit Office reported on this gap in Managing the Impact of Brexit on EU Structural Funds. Following Jonathan Edwards MP’s July 2018 early day motion we have seen a trickle of information on this issue. The Ministry of Housing Communities and Local Government issued a written statement and an update before the Commons on 24 July 2018. 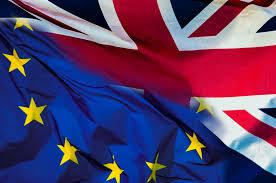 The UK Government’s plan is to deliver the UKSPF via Local Enterprise Partnerships (LEPs). These would develop local industrial strategies but remain accountable to the framework set by central government. Access to the fund will be facilitated by simplified administration. In the event of no-deal, UK Government will guarantee 2014-2020 funding. Just as delivering on the promise of rights is an important policy objective, so too is enhancing productivity. No doubt the latter is one shared by UK and Welsh Governments. An abrupt halt in a stream of funding in Wales that has been focused on delivering rights would be challenging for civil society in Wales. That the UKSPF will be driven by economic growth rather than by an inclusive approach characterised by social cohesion, equality and human rights which are at heart of participating organisations’ concerns. This fear has arisen because the UKSPF is rooted in the UK Government’s Industrial Strategy. While the sector welcomes the role of the UKSPF in supporting economic prosperity, the use of the language of productivity only cements these concerns when not underpinned by these values. Discussions within the Forum have also reflected a desire to see the UKSPF devolved to Wales. Specifically, to a body in Wales with the strategic management, including priority setting, undertaken in equal partnership between the third, public and private sectors. However, so far Wales appears to be an afterthought in the design of UKSPF. Devolution of UKSPF in England is to Local Enterprise Partnerships (LEPs), which do not exist in Wales. No indication has been given of how the Fund would work in Wales, which suggests that Welsh concerns have not been considered. There has so far been no commitment to the needs-based approach favoured by participating organisations in Wales (see for instance these NAfW submissions by the Bevan Foundation and Chwarae Teg). The Welsh Government and Finance Committee of the NAfW have expressed concerns that the use of the Barnett Formula, (which determines the amount of money Wales receives from the UK Government based on population size) may be used to allocate the UKSPF. An allocation based on population size would result in a significant loss of funding in Wales. Alternatively, the use of a UK-wide bidding system could see funds traditionally allocated to areas in need, redirected. Finally, the UK Government intends to consult on the UKSPF towards the end of the year, though the Government’s timetables on Brexit-related matters have sometimes been known to slip. A vast number of complex developments around Brexit will occur during Autumn 2018. Debates about Brexit will be intense and almost certainly disputatious. The topic of UKSPF may get lost within these wider debates. Organisations in Wales concerned about the forms of funding that replace ESIF will need to work together – and to coordinate with projects in across the UK to ensure that devolved interests are heard by decision makers.